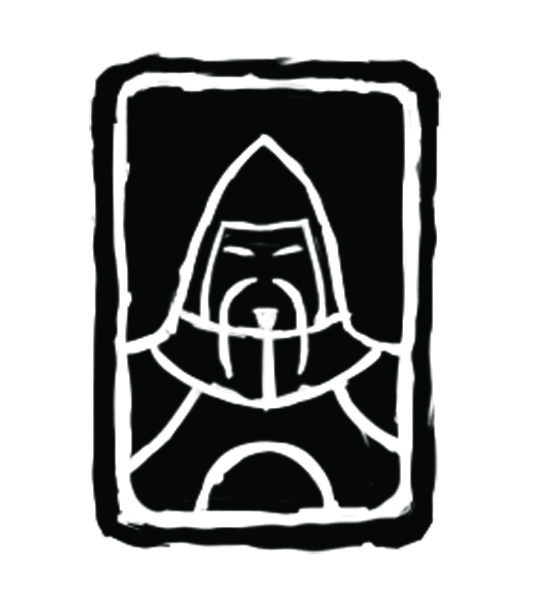 While we were working as a hard bitten, crack international team of game mercenaries, a logo wasn’t our main concern. But now that we have revealed our game to the world and begun working in a real studio, things like logos suddenly become important. Besides getting sweet tattoos and spray painting our turf, a growing company needs a logo for a lot of things, like a sign on the door for example. I really liked the roughness and slight irregularity of this kind of printing and quickly came up with the following rough, incorporating the Blue Manchurian’s head and shoulders into the rectangular shape. The rough came out very close to the final design. Quickly freehanded in photoshop using my Cintiq. Happy with the direction, all that was left was to painstakingly transform the image into a vector file so it would be easily scale-able for whatever we need it for. Raster images are not much use if you need to make a 100 foot banner one day. Don’t laugh, it could happen! 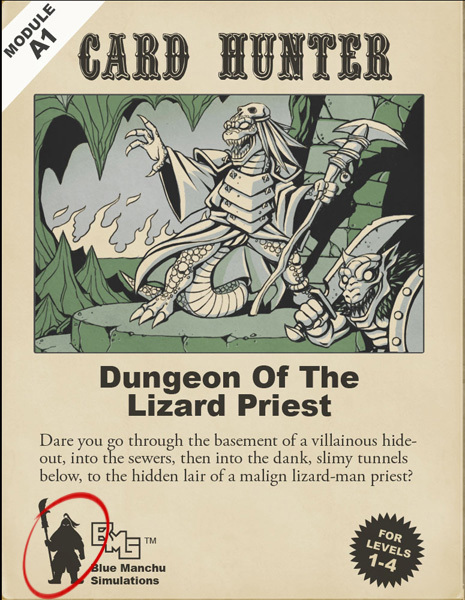 So there you have it, Cardhunters. 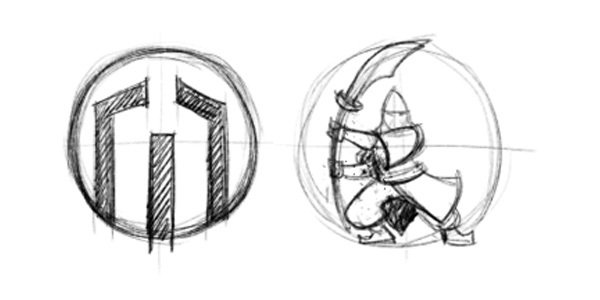 You have survived the adventure of the logo design labyrinth… You now have maximum Charisma and company pride +1! That is a really manly logo. I like it a lot. Will the Blue Manchurian be a playable character in Card Hunter? Possibly a dungeon boss? Nah, not a boss… This guy looks more like a questgiver to me. How could the game be complete without an older guardsman-type with a long moustache, whose heart is in the right place but can’t truly understand the mystic chaos that envelops the land? 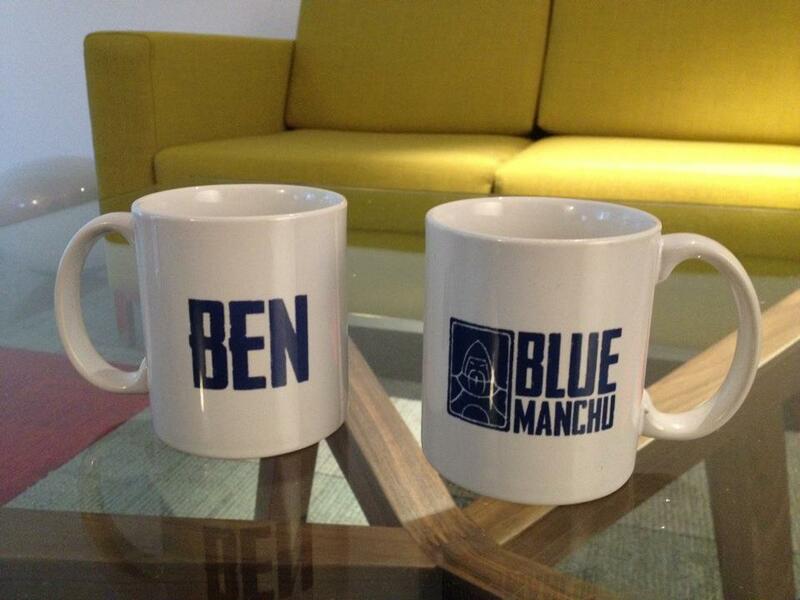 Anyone else wondering how we can get ourselves one of those mugs? FFSamurai – I was thinking the same thing. I would happily pay some denomination of money (cost to produce +10%) to get myself one. 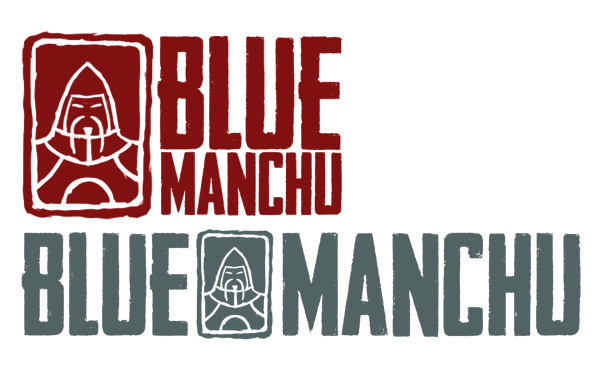 Blue Manchu – Sort it out! Actually. I’ll take a Tshirt too whilst you’re at it.